Wide Open Road Cycling Tours are an Australian based cycling tour company that offer cycling tours in Europe and Australia.  In 2019, Wide Open Road Cycling Tours are offering a November Victorian Alps Cycle Tour, from 15 to 19 November, based out of Porepunkah, in North East Victoria. Wide Open Road are passionate about showing you the best cycling routes connecting stunning mountain passes, beautiful villages and the local and hidden highlights of the regions you pass through. Each year they have a tour timed to see highlight stages of the Tour de France and offer other European cycling tours around this – with a focus on France, Italy, Spain and Switzerland. Wide Open Road Cycling Tours have been operating since 2001 and are owned, operated and run by Clare Holdsworth. Clare has extensive cycling and travel experience in Europe and Australia, and has detailed knowledge of the best cycling routes, cultures, traditions, food and wine of the regions you pass through. Clare delivers a personalised holiday experience, adapting your holiday to your needs. If you want to ride an extra Col, take in a long lunch, or take a short-cut – it is all possible. Four days of spectacular cycling in the Victorian Alps with a carefully crafted itinerary, enabling you to ride a fully supported loop showcasing the spectacular scenery, mountain villages, regional produce, local wineries and micro-breweries of north east Victoria. This tour enables you to ride four iconic Australian mountain climbs that also feature as part of Victoria’s 7 Peaks Ride series and true to Wide Open Road style, they have booked great family run accommodation, organised private dinners at two of the region’s best wineries and have a few other surprises along the way. This tour is for a small group only – so book now to secure your spot.